World Cup-winning boss Marcello Lippi stepped down as head coach of China following their Asian Cup exit on Thursday. 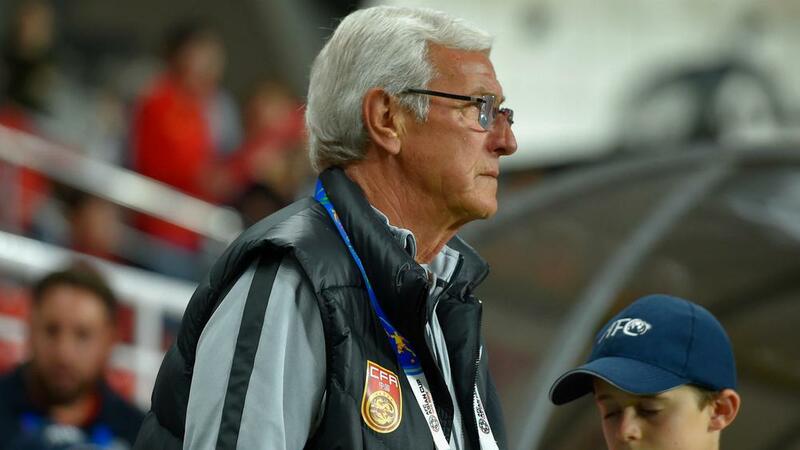 Lippi confirmed his departure after China lost 3-0 to Iran in the quarter-finals of the Asian Cup in Abu Dhabi. The 70-year-old Italian and former Juventus coach, who guided Italy to 2006 World Cup glory, was appointed by China in 2016 following three successive leagues with Guangzhou Evergrande. "This match ends my contract with China Team," Lippi said. "For me, it has been such an honour to have coached the team of such an important country like China. "I tried my best during the period and the team have improved and got better. I want to thank everyone for your support. "Perhaps many had expected the eventual result against Iran. But for me it was a match beyond my expectation because we can't make mistakes as such [to lose the game]. "Iran are a strong team and you can't commit mistakes and gift them goals like this. It was all about lack of concentration. It may be a tough game but you can't lose this way. "I want to thank the players as they made a lot of efforts and put in some good performances in this Asian Cup. We played some good games, although we failed to make it to the last four."